Toast pecans in 300° F oven for 10 minutes. 1. 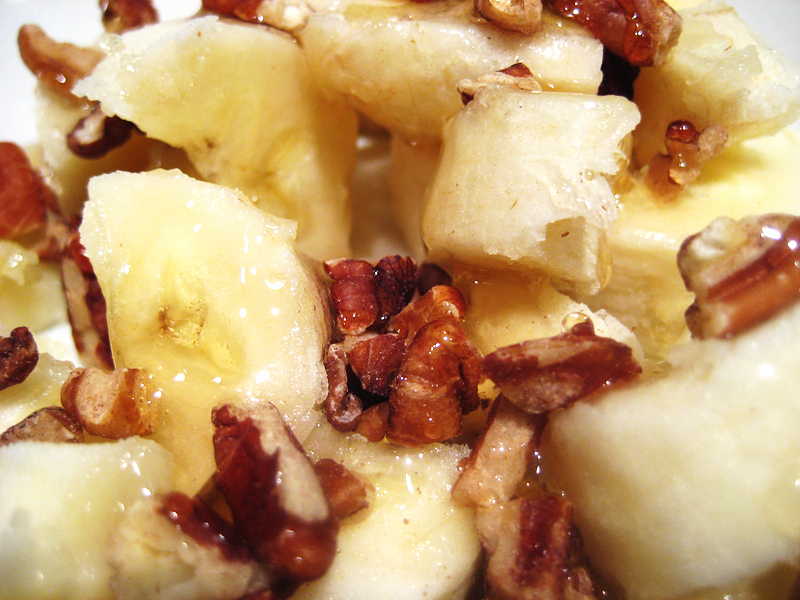 Put banana chunks in bowl and top with pecans. 2. Drizzle honey to taste. I suspect strawberry chunks would go nicely. Or even pineapple. Both! Sounds good to me, maybe some frozen yogurt would be good with it!